Aquarius is the eleventh astrological sign of the Zodiac, and is an Air Sign. Aquarius are natural romantics, who have a strong moral consciousness that guides them in their day-to-day choices. Don’t be surprised if the Aquarius you know wants to join the Peace Corp or volunteer at the local food pantry. Aquarius can walk through life with the weight of the world on their shoulders, and they are often looking to make a difference. For some Aquarius, this charitable characteristic is latent and shows after they’ve found success in the business world. Michael Bloomberg, New York City’s famous Mayor, first found immense success in the business world and now devotes his time to public office and philanthropy. Paul Newman, another famous Aquarius, similarly found success early in life and then focused much of his efforts on philanthropy. 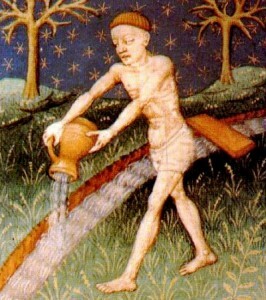 In the earliest tapestries depicting Aquarius, they were symbolized by a boy carrying water from an urn. In ancient civilization, water often meant life. And Aquarius thrive in situations where they can do good deeds and often make personal sacrifices for the cause of the greater good. © 2013 Astrology Traits. All rights reserved.